Outdoor opportunities for recreation and adventure are abundant across the country’s rugged, primitive settings. While the odds of having fun are in your favor, opportunities to suffer serious injury due to another’s negligence are also an unfortunate possibility. 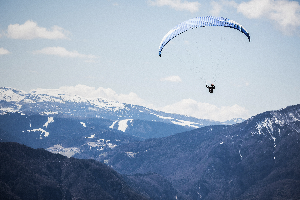 If you feel you’ve suffered unnecessary injury while on an outdoor excursion anywhere in the Western United States, you have the right to be compensated for your injuries. You have the right to sue and collect damages from the party the court finds to be at fault. But you need to act quickly. The statute of limitations to sue another party for a personal injury or tort differs depending on the state you were in. Here are a few more things you should know if you plan to sue for damages due to an injury suffered while on an outdoor adventure. No matter where in the US you are, state and district courts strive to restore you to the condition you’d be in if your injury had never occurred at all. You may sue for past and future medical expenses if you can prove that another person’s or business’s negligence caused your need for that medical care. Even if you have a preexisting condition, you can receive damages if your injury made your condition worse. It doesn’t matter if a person without your preexisting condition wouldn’t have suffered the same fate in your circumstances. You won’t get reimbursed for medical care for your prior condition on its own, but only for that portion of harm the courts feel is due to your injury. You are assumed to understand that engaging in your given activity involves danger, no matter how well-prepared the setting. By making the choice to participate, you take a degree of personal responsibility for the risk of engaging in the sport or activity. Your assumed risk doesn’t absolve an activity coordinator or event venue from accountability. These entities remain liable for negligence, safety violations, or fraudulent behavior leading to an injury. Likewise, if you failed to follow rules or otherwise contributed to your own injury, you could be found partially responsible, even if another’s negligence was a factor. To protect themselves from lawsuits, some adventure companies and recreational facilities ask you to read and sign legal documents. For example, you may be asked to sign a release form stating that you assume the risks for any injury before you ride a zipline or a horse. These releases are enforced by the courts, but a release doesn’t completely let the activity organizer off the hook. If a venue or management company fails to maintain equipment, warn users of unreasonable dangers, or provide adequate gear for the activity, the releases are irrelevant. The test for the courts is whether or not the conditions you faced were part of the normal risks a reasonable person expects to encounter while engaging in your chosen activity. If the conditions made the activity abnormally risky, you have the right to collect damages even after you’ve signed a waiver or release of damages for injury. From the moment you’re injured, you should document and collect all reports on your health. You should keep a diary of how the injury affects you on a day-to-day basis. Your attorney will also have you sign forms to allow your doctors to release necessary medical documentation to your legal team. A skilled attorney who also has a medical background is a great ally in building a case for fair compensation. You need an attorney who knows how to assess the impact of your injuries from a medical standpoint, someone who can help determine if you will ever return to work or if your symptoms will grow worse over time. Additionally, you can help your legal counsel help you by providing as much detail as you can about your past and present employment compensation. Share with your attorney your expectations for advancement prior to your injury. A personal injury attorney is a good source of information about laws governing compensation for injuries. Each state handles tort law differently, so it’s important to speak with a lawyer who handles cases in the state you live in to receive a complete picture of your rights and responsibilities. Contact the law firm of Otorowski, Morrow & Golden P.L.L.C. for a personal injury consultation regarding cases in California, Colorado, Idaho, Oregon, and Washington.